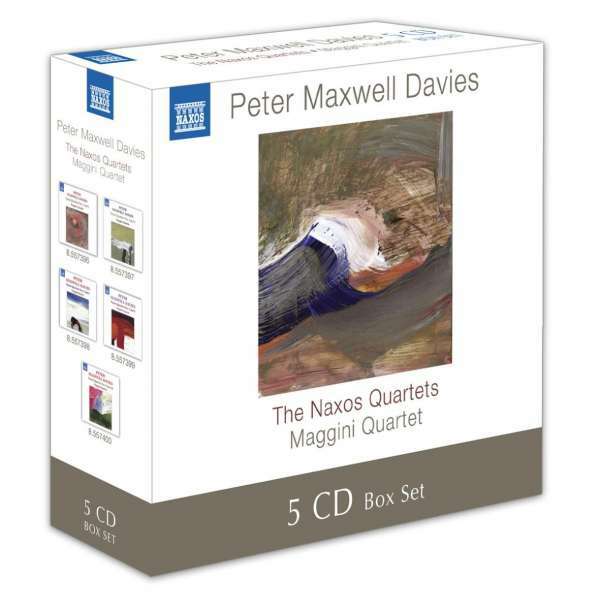 Peter Maxwell Davies: Streichquartette "Naxos Quartette"
Der Artikel Peter Maxwell Davies (1934-2016): Streichquartette "Naxos Quartette" wurde in den Warenkorb gelegt. Peter Maxwell Davies is universally acknowledged as one of the foremost composers of our time, and is currently Master of the Queen's Music. His musical idiom has been described by The New York Times as a combination of 'medieval mysticism, modernist rigour and happy accessibility'. Maxwell Davies's 10-quartet cycle commissioned by Naxos is now collected in this 5-CD boxed set. The composer has written of Quartet No 10, 'in no way must this be a last quartet. 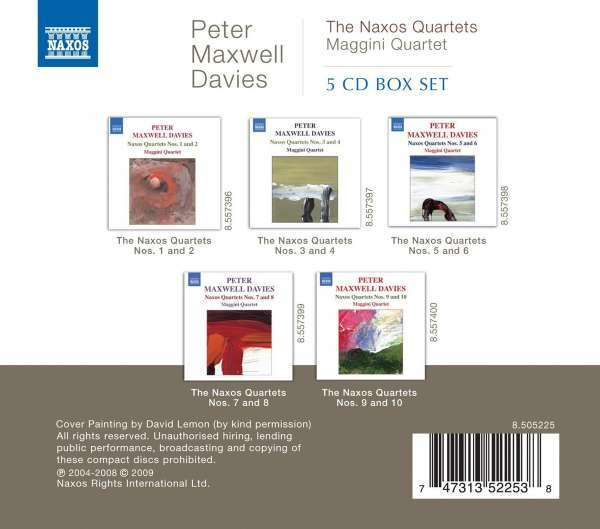 I needed to leave the door open: I had enjoyed writing the Naxos Quartets so much, and perhaps even learned a thing or two, that more could, in theory, eventually flourish'. Orchesterwerke "An Orkney Wedding, With Sunrise"
Musik für Trompete & Klavier "Direct Message"